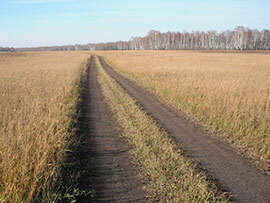 In October 2011 Kim Bannister completed a route survey of the eastern section of our route through Russia. 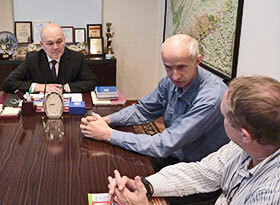 With the help and enthusiastic support of both a large number of “Old-timer Clubs” and the various local government agencies the Russian leg of the 2013 Peking to Paris Rally promises to be one of the highlights of the trip. A long overnight flight via Moscow to Barnaul ended on a foggy morning where I was met at the airport by my local hosts, Arcady, Sergey and Viktor from the Altai Autosport Federation (AFAS) and taken in a Russian copy of a 1951 Opel Kadett to a meeting with Mr Michael Schetinin, the Deputy Governor of the Altai Territory. Mr Schetinin welcomed the Peking to Paris 2013 to the Altai Territory and offered as much help as possible particularly in respect of speeding up the border crossing process and help and assistance from the local police on the event. A very good start to the trip. Following the meeting we headed south away from Barnaul towards the border town of Tashanta where the 2013 event will enter Russia from Mongolia. It is October in Siberia and the first snows have started to fall, so we spent the first night in a ski-resort hotel near the Chike Taman Pass at just over 1600 metres. Thankfully when the event arrives in late May 2013 the weather should be fine and sunny and the meadows next to the main road will be in full bloom, a wonderful sight, the green trees and fields being a feature you won’t have seen for weeks! Day Two of the route survey concentrated on the first day proper of the event when it enters Russia from Mongolia. Working with the local experts, particularly Sergey and Arcady, was vital in trying to make sure that we found some exciting roads to use for our trip, and they did not disappoint. We used the main M-52 road away from the border, this runs through scenery which always reminds me of Switzerland, then headed over the old Chike Taman Pass, a gravel road which was used by all traffic until the mid-eighties, which will form our first test section. This road twists and turns its way through a gap in the hills and will be a great challenge to all crews choosing to go this way. The main road alternative, all tarmac, is also a lovely road but not as challenging. After lunch at a local truck stop, always very good value and you have the advantage of being able to point to your chosen dishes even if the staff only speak Russian, we continued north and looked at two wonderful sections, one of 130 kms the other 50 kms, using local gravel roads, before staying at a new hotel in the resort town of Aya which will be our stop for the first night on the rally. Stopping at the Park Hotel in Aya will mean a shorter run from the Mongolian border than using the city of Biysk, something all crews will welcome. 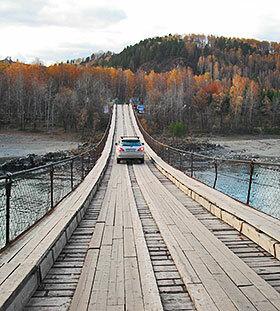 Leaving Aya we cross the Katun River using a wonderful old suspension bridge, just wide enough for one car, before turning north and then headed into the Siberian countryside to avoid most of the city of Biysk. Once off the main roads the traffic all but disappears, as do the numerous police checkpoints and progress was swift. Once north of Biysk Sergey and Arcady had recommended we look at a forest section which looped off the main road, it was wonderful. Over 40 kms of sweeping smooth sand based track with no traffic will make a superb time trial section with the added advantage of being easily by-passed by those crews who want to stay firmly on the tarmac. We drove around the city of Barnaul, the capital of the Altai Territory, using an excellent new highway, stopping for the mandatory lunch break at another superb truck stop where the local borsch, a beetroot based soup, was truly wonderful. Trying the local food where the locals eat is always a great part of these types of journeys and I will be making sure that the route notes show a few recommended eating places each day, we will also provide some suggested dishes for you to try and have these translated into the local language so you can order them more easily. After lunch we looked at another two sections, both of which looped off the main road making avoiding them easy, which were on the local “winter roads”. These are smooth generally packed mud roads which can be very slippery when wet but fantastic fun when dry and with very little other traffic. Our final destination for Day 3 was Novosibirsk, one of the major cities of Siberia, where we will have our first day off after the rigours of Mongolia. Our chosen hotel, The Sibir, was used by the rally in 2007 and is the best in the city. One of my hosts, Arcady, lives in Novosibirsk and will be locating local garages and companies able to help crews to work on their cars on our rest day, another major advantage of working with the local “old-timer clubs” as they are known in Russia. Novosibirsk is a modern lively city with a great café culture and many excellent restaurants for those who choose to eat out. The journey to Omsk (Prince Borghese stayed here in 1907) is a long day but there is no other city capable of accommodating the rally. In 2007 we stayed on the main road, in 2013 this will change. Using the local knowledge of Arcady we quickly left behind the city of Novosibirsk and headed out into the countryside to look at some more optional time trial sections. 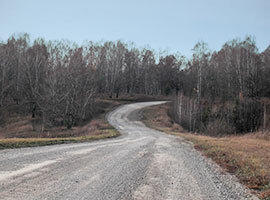 The first used the local “winter roads” but the second used a section of a pipe line service road which ran through completely empty country over a smooth packed earth and grass track, kept open all year for to allow access to the various areas of the pipe line for maintenance. A section of the main road was then used, excellent smooth, straight tarmac with a few trucks but plenty of overtaking opportunities and many truck stops and fuel stations to provide convenient rest points. As we approached Omsk we headed off back into the countryside to use a part of the old Moscow Road, deserted for a number of years, as our final time trial of the day, before approaching Omsk from the east and using a very direct and simple way through the city to our hotel for the night. The Tourist Hotel was used in 2007 and is on the banks of the Irtysh River which flows through the city, we also looked at other hotels in the area and a final decision will be made soon but all those looked at were clean, modern and with plenty of secure parking. At Omsk I also met my hosts for this leg of the trip, the Omsk 4x4 club and their president Yuri Malishev and his partner and fellow director Vera. My final day began with a meeting in Omsk with Mr Podbelskiy the Deputy Minister for Youth Affairs, Physical Culture and Sport of the Omsk Territory. Mr Podbelskiy, who spoke excellent English, was very supportive of our plans to bring the event to Omsk, promising a city centre finish to the day and a well supported re-start on our way to Tyumen. This together with the help of the local police in ensuring a speedy cross city journey will make our trip to Omsk a real pleasure. 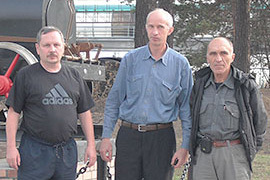 The final part of the route survey was spent with Yuri and my hosts from Altai looking at a large number of roads in the area between Omsk and Tyumen, we are also promised help and assistance from a club in the Tyumen area but this must wait for my next trip to Russia in 2012. Many of the roads were local “winter roads”, currently in superb condition, smooth and fast with little or no traffic and a complete absence of the police. One section however was a real find running for some distance on the railway service road, a gravel track, with trains overtaking us at regular intervals and sounding their horns in support.